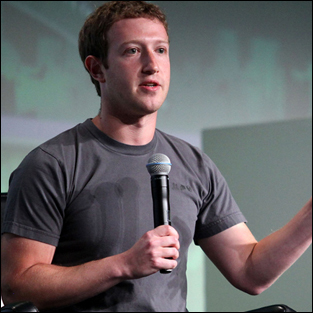 Zuckerberg says mobile will improve stock, 4G to reach UK cities this year, MS open doors for devs, QR codes to combat fraud and iPhone 5 parody. Mark Zuckerberg has spoken for the first time this week on the disappointment over the still falling Facebook shares. Share prices for the social network have been all but halved since going public but Zuckerberg is still pinning his hopes for the company on mobile technology and apps. “Over the next three to five years, the biggest question on everyone’s mind is really going to be how well Facebook does with mobile,” he said at Techcrunch Disrupt Conference this week. 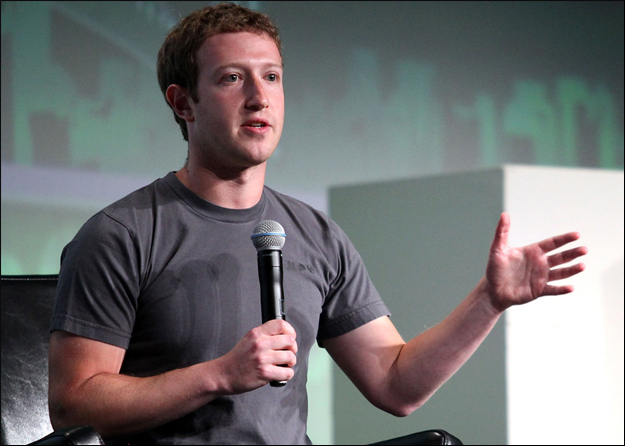 “Ads have to be more integrated into the product on mobile,” Zuckerberg continued. He went on to say that the company was working on mobile and apps and integrating them more fully into the platform so that users will be more likely to act upon them. The social giants have also recently made improvements to the iOS app for Facebook, a move designed to iron out the bugs in the previous version of the software. However, I use the new iOS version and find it just as buggy, if not worse with photographs (which when scrolling through it often closes the app) and the layout confusing and irritating. 4G is to hit the UK sooner than expected as Ofcom have given Everything Everywhere permission to go ahead and launch the new generation mobile spectrum in 16 cities across the UK before the end of this year. Following that, the service will be rolled out to the rest of the country and is expected to give 98% coverage by 2014. London, Birmingham, Cardiff and Bristol are currently being used as test cities and could have coverage within a matter of weeks. Of course, rivals firms have condemned Ofcom’s decision, citing that EE will have an unfair advantage by being allowed to roll out 4G services before any of the other networks and ahead of the upcoming spectrum auction next year. Microsoft has announced that developers will now be able to submit apps ahead of the official launch of Windows 8 in October this year. 82 markets have also been added so that developers from 120 markets can make apps for the Windows Store. MSDN subscribers will get a free, one year developer account and it’s thought that Microsoft will continue to expand; interested devs can find a list of all the supported markets at the Dev Centre. Microsoft will of course have their work cut out to compete in the app market following the launch of Surface as the app ecosystems for both iOS and Android are so well established. For access to developer tools and support, devs can sign by going to the Windows Store Dashboard on the Windows Dev Centre. Researchers in the US have come up with a way to “tackle the issue” of counterfeit goods by using invisible QR codes, which can be printed onto paper, glass and other materials. Whilst the codes will be invisible to the naked eye, once placed under an infrared light they will show up. QR codes are traditionally used in the marketing industry and can be scanned by a smartphone in order to access special offers on the target website. They can hold a significant amount of information and the new, invisible versions are difficult to replicate. Using the technique, which was developed by researchers at the University of South Dakota and South Dakota School of Mines and Technology, people can check the authenticity of bank notes and more. Jeevan Meruga, lead author of the study, said: “We can also change our parameters to make it even more difficult to counterfeit, such as controlling the intensity of the upconverting light or using inks with a higher weight percentage of nanoparticles. It’s thought that the method is very durable and notes canned be scanned more than 50 times without showing any signs of deterioration.